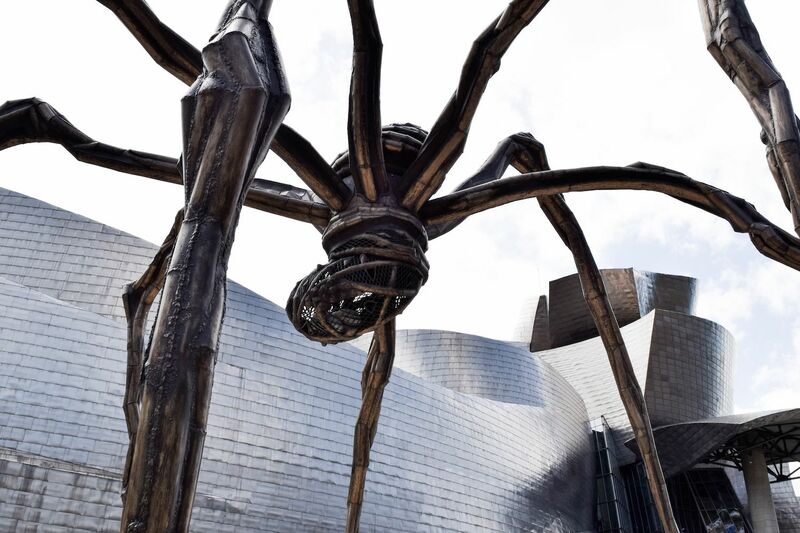 I’ve long wanted to visit the Guggenheim Museum in Bilbao, Spain, after many wonderful and memorable visits to the New York museum. 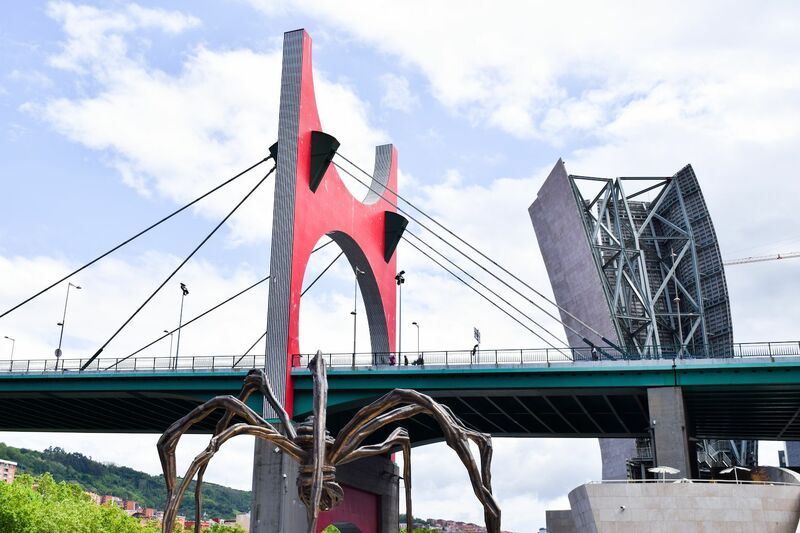 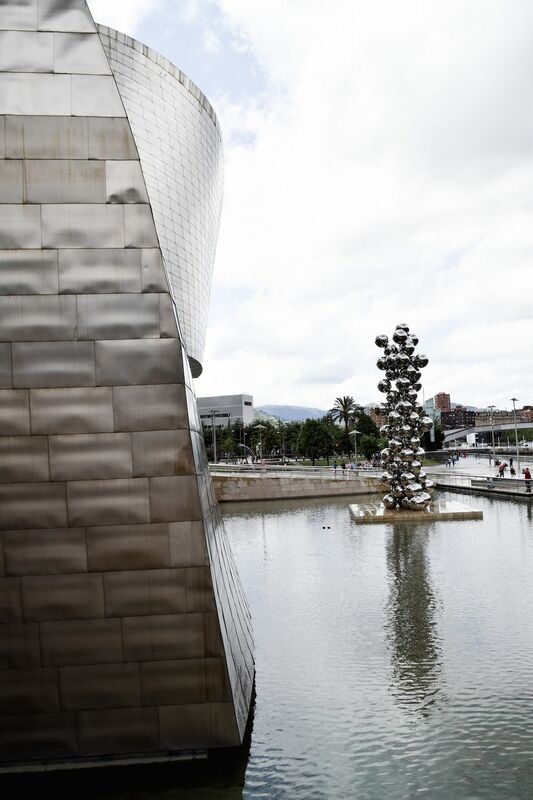 The museum rests on the Nervion river that crosses the city of Bilbao. 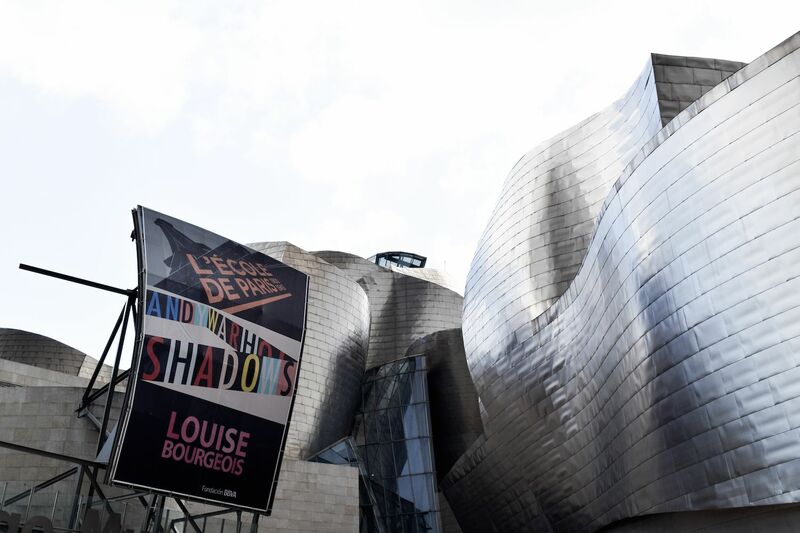 Designed by Frank Gehry almost 20 years ago, the museum revitalized the community of Bilbao, a town filled with declining factories, when it opened in the fall of 1997. 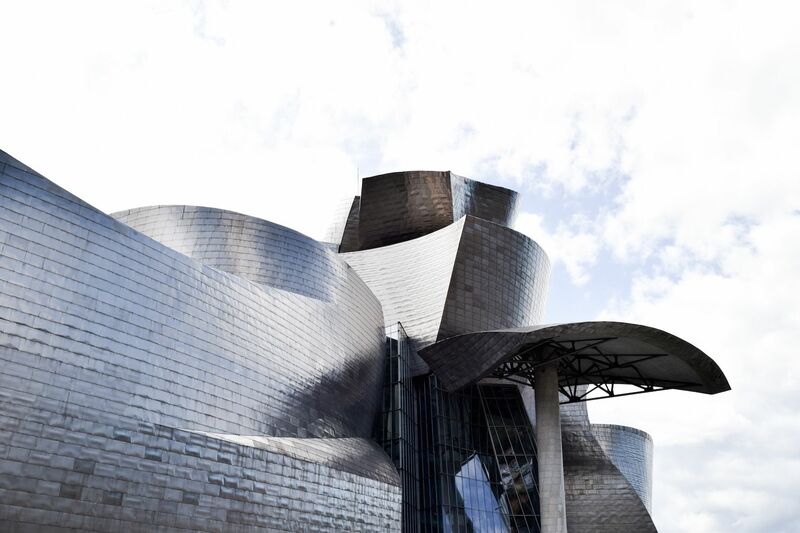 The building itself is an architectural work of art. 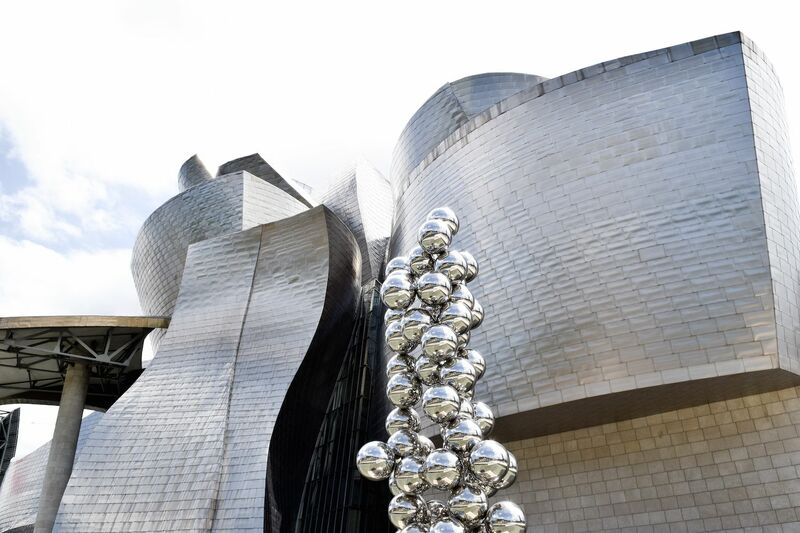 It looks as if a giant spaceship that landed in the Basque Country from the future – with reflective silver panels that effortlessly twist an turn around the structure like steel wrapping paper. 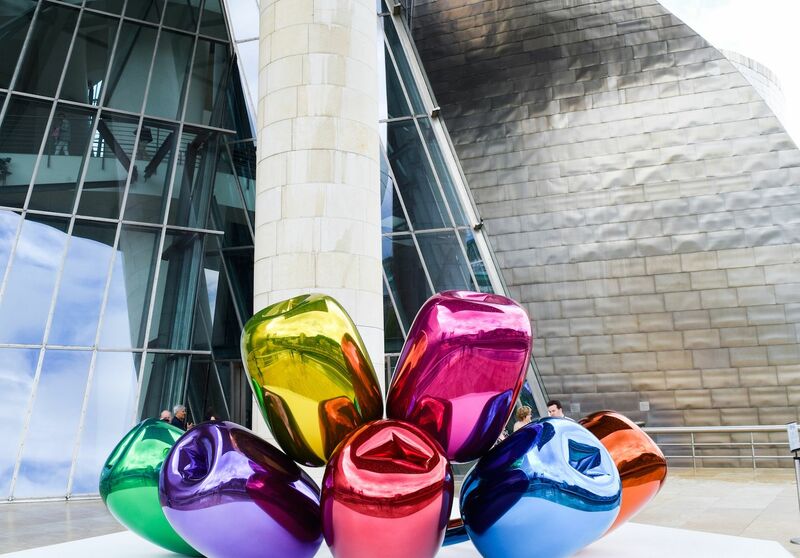 Outside, enormous sculptures by blue chip artists surround the museum. 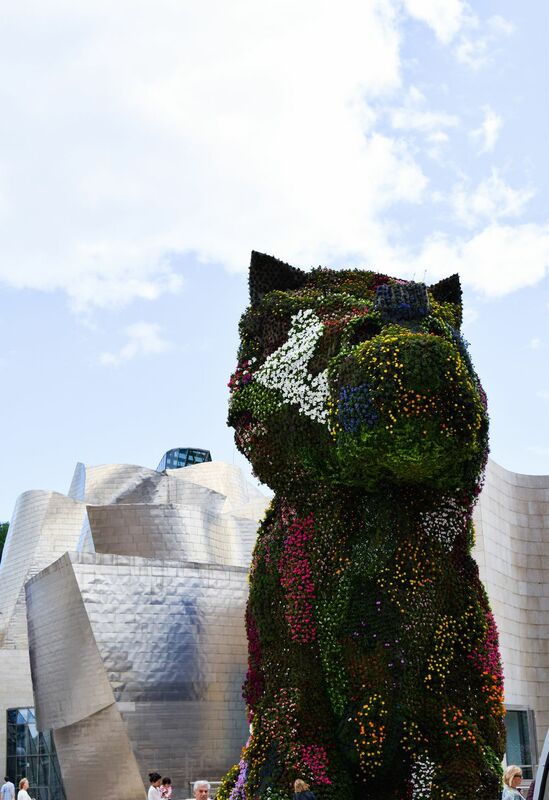 Perhaps the most famous, is Jeff Koons’ Puppy, 1992, made of stainless steel, soil, and flowers! 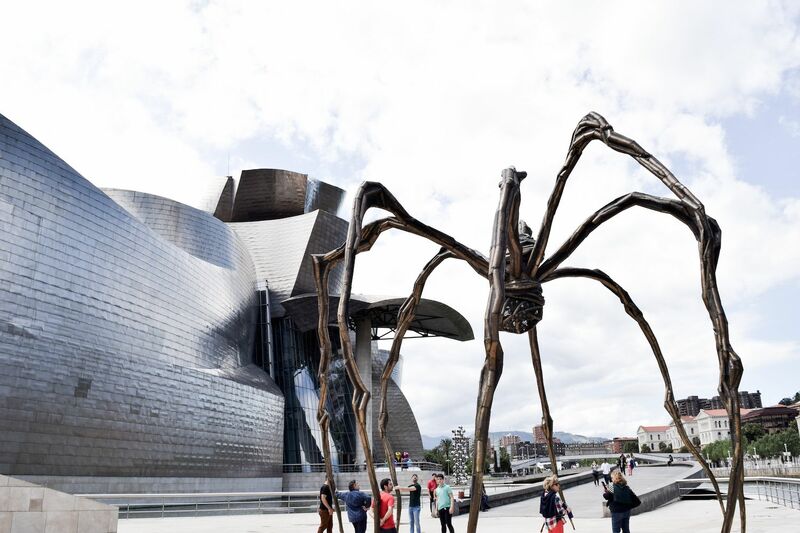 It stands right at the museum entrance, almost like a loyal guard dog protecting all of the valuable art inside. 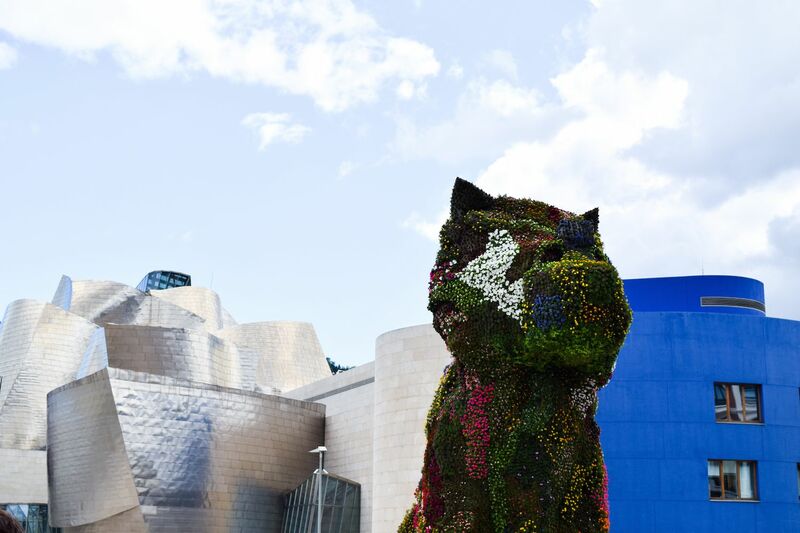 The iconic sculpture playfully references the traditional European flower gardens of centuries past, in the modern, simplified form of a dog. 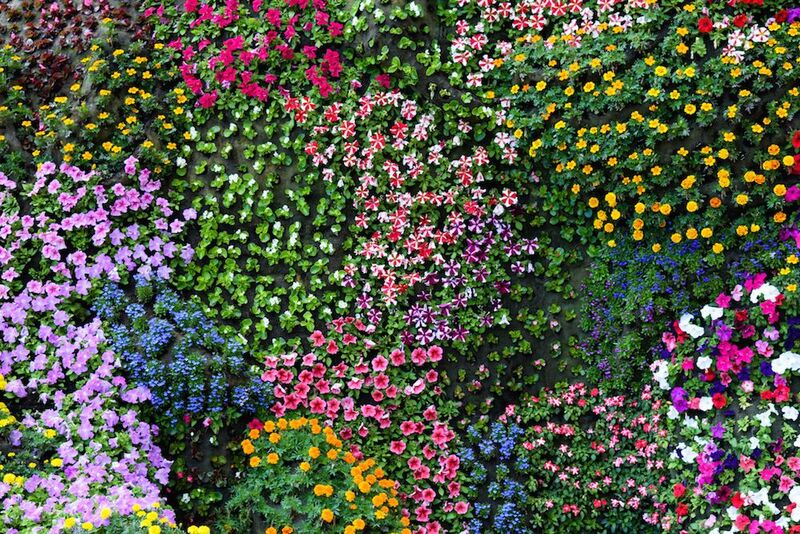 The flowers are real, and I can only imagine how much upkeep work this living piece of art requires! 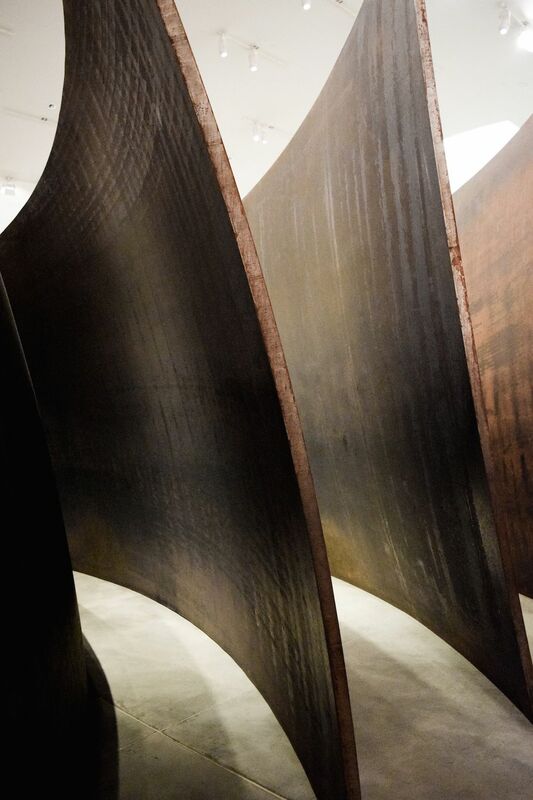 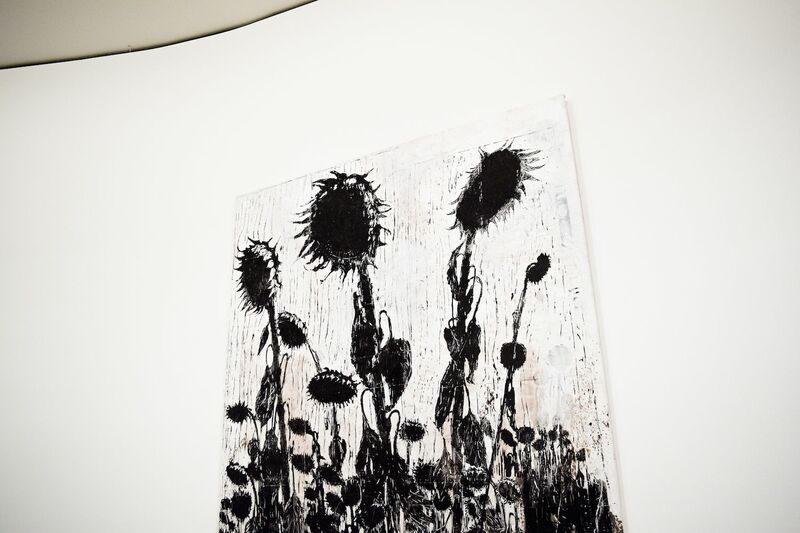 Inside the museum, a long hall is filled with several massive Richard Serra sculptures, many of which visitors can walk inside, and in between.